Reuters reports Tuesday that top listed copper producer Freeport McMoRan’s giant Grasberg mine in Indonesia had resumed staged copper concentrate production following a strike at a domestic refinery in which the US company owns a minority stake after a 38-day hiatus. Grasberg remains under a concentrate export ban as Freeport negotiates a new operating licence and ownership agreements with the Asian nation. Last month Phoenix-Arizona-based Freeport said it does not foresee a return to business as usual at its 90%-owned operating subsidiary in the country. 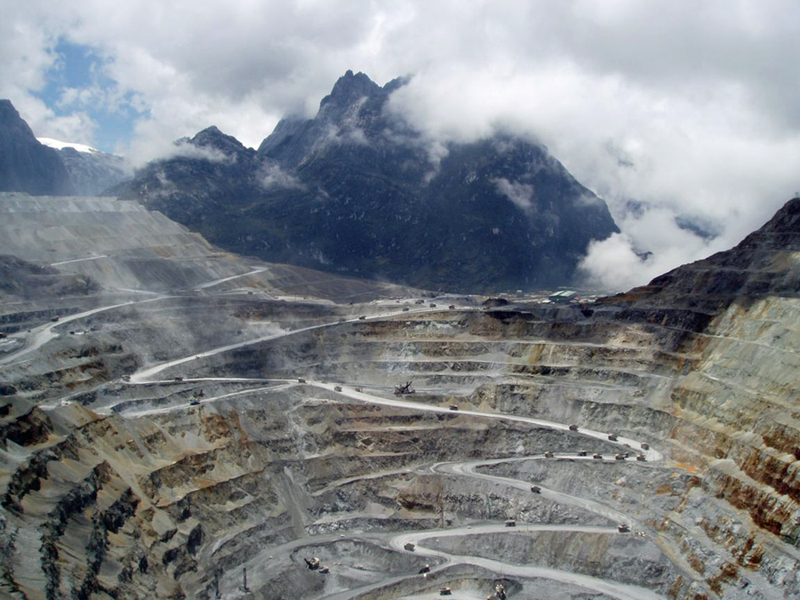 Freeport Indonesia has suspended capital investments at the remote mine in Papua province and reduced production to roughly 40% of normal levels. In January Freeport said for each month of delay in obtaining approval to export, the Indonesian subsidiary’s share of production is projected to be reduced by approximately 32,000 tonnes of copper and 100,000 ounces of gold. In Peru, a 1,300-worker strong strike at Freeports’ Cerro Verde mine which recently underwent a massive expansion is set to end on Thursday on government orders, but the union vowed to down tools again on Friday. Workers walked off the job 11 days ago and according to the union production at the mine is running at 50% after Freeport brought contract workers onto the site. Cerro Verde, controlled by Freeport with a 53.6% stake, Sumitomo Metal (21%) and Buenaventura (19.6%), produced just under 500,000 tonnes of the red metal last year, making it the South American nation’s top producer. The strike is already in its 40th day. The previous labour strike in 2006 ended after 25 days while the current wage deal was signed four years ago when copper was trading around $3.40 a pound. In its annual financial results BHP said it expected full-year production at Escondida of 1.07 million tonnes, which gives the mine a nearly 5% shares of global primary copper production. BHP, which operates and majority owns the mine with fellow Melbourne diversified giant Rio Tinto, declared force majeure at the mine on February 10 sending the copper price to its highest since May 2015. In a research note quoted on Monday at Barron’s, Bank of America Merrill Lynch said it’s keeping a $3.00 per pound mid-year price target for copper due to stronger demand and the “meaningful” impact of supply disruptions.